Credit: Image by Nan Palmero on Flickr. Some rights reserved. It is 10 years this year since LinkedIn was started in the living room of Reid Hoffman before being launched in May 2003. This guide looks at how journalists can use the social network to search for stories, make contacts and manage communities of readers. 1. Learn to love the advanced hyperlink (top right hand corner). You can search for a source working for a company or a previous member of staff. For example, if Journalism.co.uk wants to find a former News of the World journalist, I could add the keyword "journalist" and type "News of the World" into the "current or past" company field. I would then have 67 people we could approach and see if I share connections with several of them. There is also an option to save the search and receive regular updates on those 67 people. 2. Check you have keywords in your profile. As with Twitter, LinkedIn is frequently used by editors and others to find contacts (as demonstrated in tip number one). Perhaps there is a source who wants to make contact with a journalist at your title. By ensuring you have an up-to-date profile with keywords, you will be easy to locate. 3. Add some skills to your profile. This is a relatively new function of LinkedIn and allows journalists, particularly freelancers, to market themselves on the social network. 4. Ensure you have at least 50 connections, focusing on quality not quantity. Fifty is the "magic number" of connections, according to Krista Canfield, senior manager of corporate communications (consumer PR) at LinkedIn, who spoke to me for this podcast on how journalists can best use LinkedIn. "The reason that 50 is a magic number is because that is when you will start seeing more second and third degree contacts that get you in touch with the companies, the sources, or the editors that you are really looking to get in touch with," Canfield said. 5. Used LinkedIn Today to find news in your area of interest. LinkedIn Today launched last year as a news site taking its content from established sources, organising them by areas of interest such as online media industry, publishing industry and internet industry. It is curated by people in the industry via retweets on Twitter and LinkedIn comments. 6. Consider a LinkedIn share button on your news site. 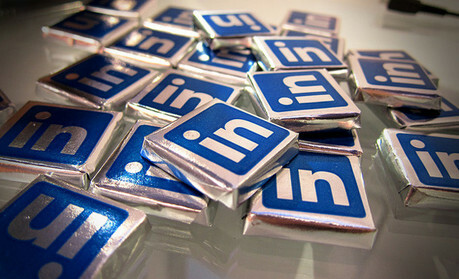 LinkedIn is an important traffic driver for many publishers and buttons can increase social sharing. 7. Follow company pages. There are more than two million company pages on LinkedIn, allowing you to search for those that are part of your beat. For Journalism.co.uk these include Johnston Press, Archant and BBC News. By following a company you get updates when people join or leave. 8. Create a group for your brand, a real bonus for niche publishers. Incisive Media, a business-to-business publisher with 600 websites, is really utilising groups. Incisive has more than 100 LinkedIn groups ranging from IT to narrower groups such as Asian risk management. "We find LinkedIn groups are tremendously useful, firstly, as a way of having conversations with readers, secondly, testing out content and editorial ideas and, thirdly, marketing events to them so that we develop programmes for users" says John Barnes, managing director of digital and technology at Incisive Media. 9. Act as gatekeeper to your group. The gatekeeper approves or denies access. Incisive media markets its groups with a profile and then controls which individuals it allows in. They have set parameters, asking for a certain number of followers and in many instances the gatekeeper will ask for a reference from someone who is already in the group "to vouch for the person, much in the way as a offline club would require a referral", explained Barnes. "You might want to require that members have 100 followers as you can't get those in one evening," Barnes suggested. "That filters the spammers that are trying to target your community with job ads or commercial offers." If you already have a LinkedIn group you can eject people and set up terms of control. 10. Use LinkedIn to sign up to Duedil, a tool we have recommended on several occasions on Journalism.co.uk. Duedil provides accounts and company information free of charge, allowing you find financial information and details of directors. By signing in with LinkedIn, you can follow and get updates from the companies you are connected to on LinkedIn.